It's time for (un)lucky number thirteen! In this auspicious issue of Heat, Volume #13, we offer another exciting selection of prose, poetry, and pictures, with an exciting dash of classic Americana. In Skyleaper (by Slip-Wolf, illustrated by Kalahari), Lannar tries to ease the pain of her recently deceased love by throwing herself into her work: preparing for the first manned flight to the moon. But for wolves, the moon has always held spiritual and religious significance, and the journey might tear the world — and Lannar herself — apart. Anubis (a poem by Televassi, illustrated by Simul) has long been a favorite of the fandom, and here we again see why as a devotee pens this prayer to the Egyptian god. In Wolftown Detroit, you can find it all: werewolves, ghosts, vampires, berserkers. But when private investigator Jae Kim visits Wolftown and finds his former boyfriend, he discovers that his client isn't the only one with Unfinished Business (by Kyell Gold, illustrated by Silverclaw). 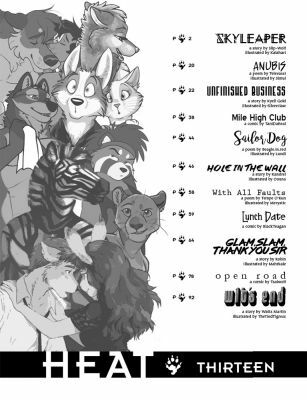 In the comic Mile High Club, TaniDaReal invites you to join a pair of pent-up flyers joining the namesake club. Life on the high seas can separate you from your family for a very long time, so when your lover is a Sailor Dog (a poem by Beagle.in.Red, illustrated by Lundi), you need to make those times together count. Amadi is a tribal Zebra working in the big city, trying to understand and respect the strange city concept of privacy. But he and his neighbor are forced to deal with each other on more intimate terms thanks to a Hole in the Wall (by Kandrel, illustrated by Oouna). With All Faults (a poem by Tempe O'Kun, illustrated by Merystic) is a quick glimpse into the love lives of two bibliophiles. In Lunch Date (a comic by BlackTeagan), two lovers meet for a midday tryst of "eating out." 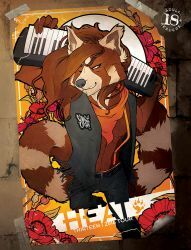 In Glam, Slam, Thank You Sir (by Robin, illustrated by Mahrkale), we meet Fizz, keyboardist for the chart-topping rock sensation Corgi Orgi. 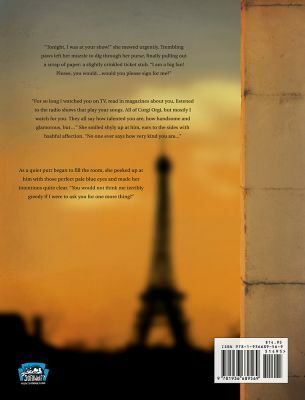 While touring through Paris, he saves a feline fan from a band of thugs, but there's more to this kitten than meets the eye and Fizz's heart might be on the line. Some parts of America are so empty you can travel for miles without seeing another soul, so why not take advantage of some of the privacy that affords while you're out on the Open Road (a comic by Tsaiwolf)? Sterling is too square a guy to be in such a hip coffeehouse. Then he meets a wild woman intent on loosening him up and who won't take no for an answer. Before long, he will be at his Wit's End (by Watts Martin, illustrated by TheTiedTigress). This year's Afterglow Husky is provided by Jeniak, and the wrap-around cover features art from Edge, inspired by Glam, Slam, Thank You Sir.